Rabbit Agility, Rabbit Hopping, Rabbit Jumping...It all leads back to Horse Steeple Chase, as ALL Animal Agility does. We have trained MANY Rabbits to an Agility Course. 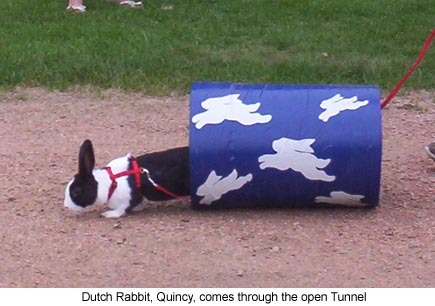 Please Visit our webiste for information on training, teaching Rabbits to an Agility Course, How to Build, Make, DIY your own Rabbit Agility Equipment, as well as Rules and Regulations for the Sport. And while you are there, have a look at our Rabbit Photos.